It’s Here, It’s Here! The 2012 Neiman Marcus Christmas Book Features A Selection of Fantasy Gifts and Experiences, Including a Limited-Edition McLaren, His and Hers Van Cleef & Arpels Watches, and a Walk-On Role inAnnie: The Musical. We love it that up to Nine Charities Will Benefit from the Sale of Fantasy Gifts Featured in the 2012 Christmas Book. Recently the 2012 Christmas Book was unveiled today by luxury retailer Neiman Marcus in Dallas. The 86thedition of this legendary book continues Neiman Marcus’s unmatched tradition of offering its customers a selection of spectacular and unique holiday gifts sure to make even their wildest dreams come true. The arrival of the Christmas Book is considered by many to mark the official start of the holiday shopping season. This year’s edition of the Christmas Book carries on the Neiman Marcus tradition of presenting a refined selection of items across a broad range of categories for everyone on your holiday shopping list. 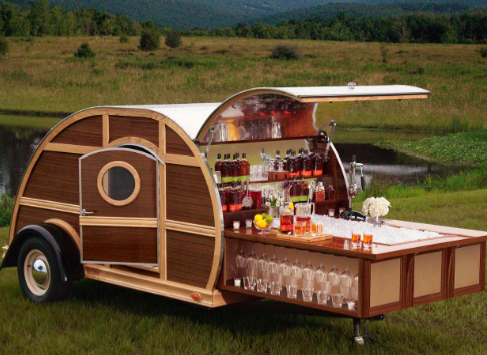 With a new collection of fantasy gifts certain to satisfy even the most indulgent appetite, the Christmas Book features exceptional and distinctive gifts and experiences, including a Heritage Hen Mini Farm, a Bulleit Woody Tailgate Trailer, a Casa Dragones Private Dinner for 10 and a Pinel & Pinel Arcade PS Trunk. This year’s featured car is a 2013 Neiman Marcus Edition McLaren 12C Spider. The “His & Hers” fantasy gift tradition continues this year with the Van Cleef & Arpels “Poetic Wish” watches and trip. First published in 1926 as a 16-page booklet, the Neiman Marcus Christmas Book was initially intended as a Christmas card to the store’s best customers. Building on tradition through the years, the book has maintained its personal touch while evolving into a legendary source for alluring and mystical gifts. All nine of the fantasy gifts offered in the Christmas Book feature a unique charitable component. The 2012 featured charities include The American Livestock Breeds Conservancy, PEDIGREE Foundation, Pajama Program, Boys & Girls Clubs of Broward County, The Watermill Center, The Bocuse d’Or USA Foundation, The Norman Mailer Center, amfAR™ and Big Brothers Big Sisters. This Versailles-inspired Le Petite Trianon house is the poshest hen house ever imagined! The custom-made multilevel dwelling features a nesting area, a “living room” for nighttime roosting, a broody room, a library filled with chicken and gardening books for visitors of the human kind, and, of course, an elegant chandelier. The environment suits your specially chosen flock well as you notice the fresh eggs awaiting morning collection and nearby, you pick fresh vegetables or herbs from your custom-built raised gardens. For every Heritage Hen Mini Farm purchase, NM will donate $3,000 to The American Livestock Breeds Conservancy, a nonprofit organization that protects genetic diversity through the conservation and promotion of endangered breeds. The ultimate gaming toy for the man or woman who has everything, the custom-made Pinel & Pinel Arcade PS Trunk is all you need for an evening of high-adrenaline entertainment. Encased in luxurious calfskin, this trunk furnishes you with Formula 1™ racing seats with Thrustmaster T500 RS Force Wheel, a selection of 24 PlayStation®3 games, Bluetooth® wireless music system, motion-detection camera, 2 SingStar® microphones, and much more. An evening might also begin with a little karaoke sing-off blasting through the unparalleled 1800-watt sound system. For every purchase, NM will donate $3,000 to Big Brothers Big Sisters, the nation’s mentoring leader in changing children’s lives for the better, forever. 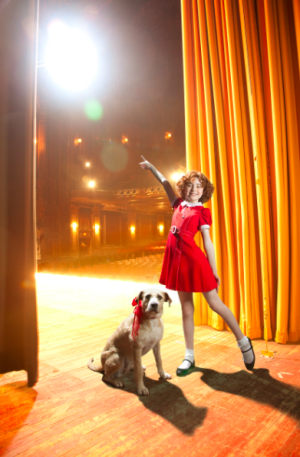 The lucky buyer of this exclusive gift will be taking the stage in one of theater’s most beloved plays, ANNIE: The Musical, to help the adorably good-natured orphan and her canine companion teach the world that perseverance and unwavering hope can change lives. After your curtain call, you’ll sit down with one of the show’s producers for a celebratory five-star meal. The proceeds of this gift will be split equally between PEDIGREE Foundation, whose mission is to help dogs in need find loving homes by providing grants to shelters and dog rescues, and Pajama Program, which provides new pajamas and books to children in need, many waiting to be adopted. Finally, technology has caught up with your fantasy about jetpack flight! One part sci-fi, three parts British secret service agent, and 100 percent pure adrenaline rush, your water-propelled jetpack is about to send you soaring. Your JetLev package includes jetpack, boat unit in NM Exclusive color with graphics, hose/control cable assembly, jetpack stand, 2 helmet radios, 2 FRS radios, remote throttle-control transmitter, CFI 1 Pilot Certification Training & Safety course. For every JetLev R200 sold, Neiman Marcus will donate $2,500 to the Boys & Girls Clubs of Broward County, an organization that helps young people, especially those who need them most, to reach their full potential as productive, caring, responsible citizens. In his Video Portraits series, artist Robert Wilson features animals and people who appear static, as if portrayed within a painting. But the viewer is caught off guard when the subject unexpectedly breathes, blinks, or shifts. This modern riff on the eighteenth-century tableaux vivant beautifully pushes the boundaries between reality and imagination. The purchase of a “Snowy Owl” benefits the Watermill Center, an interdisciplinary laboratory for performance art and a unique environment for young and emerging artists to explore new ideas. The limited edition 42"H x 24"W artist’s proof is hand-numbered and –signed and available in 20 different color combinations. Nine of your favorite guests will gather at your home where you’ll play host to an epic culinary event! Four of the culinary world’s most notable chefs—Daniel Boulud, Thomas Keller, Jerome Bocuse, and Richard Rosendale—will arrive to prepare a feast. And, they’re bringing Bertha Gonzalez, the world’s first female Maestra Tequilera, to kick off the evening with a Casa Dragones tequila tasting. Señora Gonzalez is even providing the party favors: personalized, engraved crystal bottles of the sipping spirit for each of the diners. This gastronomic adventure is limited to one NM customer. All proceeds will benefit the Bocuse d’Or USA Foundation, an organization dedicated to inspiring culinary excellence in young professionals. Your Neiman Marcus Edition 2013 McLaren 12C Spider—one of just 12 made—is heralded as the most technologically advanced supercar ever. With a push of a button, the butterfly wing-like doors open. You hit the big silver button and the 616 horse-powered V8 twin turbo engine begins to purr behind your seat. It’s all here—everything that makes a McLaren so coveted: the carbon-fiber composite chassis and Formula 1™ “brake steer, Seamless-Shift gearbox technology, and active aerodynamics. This car offers heart-pounding racecar performance. The incredible rush of hitting 60 mph in 3.2 seconds is exhilarating! The 2013 Neiman Marcus Edition McLaren 12C Spider in Volcano Red includes limited-edition features and a McLaren luggage set. Plus, you’ll receive a business-class trip to England for a VIP dinner with McLaren Chairman Ron Dennis and a tour of the McLaren Technology Center (February 6–8, 2013). For each sale, NM will donate $3,000 to Big Brothers Big Sisters, the nation’s mentoring leader in changing children’s lives for the better, forever. Reserve your 2013 Neiman Marcus Edition McLaren 12C Spider by calling 1-888-756-0775, beginning promptly at noon EDT on October 24, 2012. ($354,000; pages 70-71).